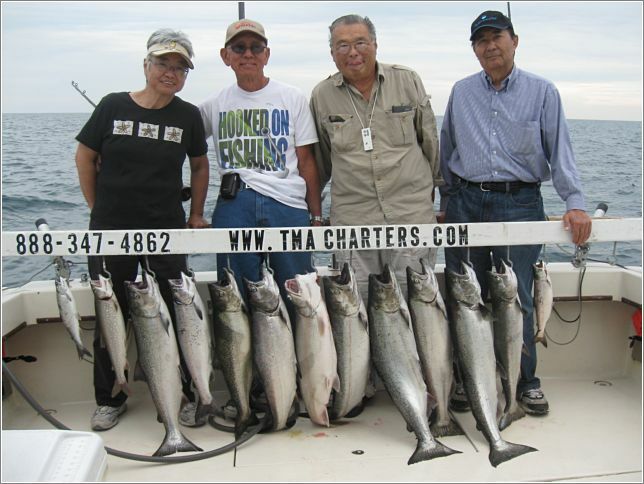 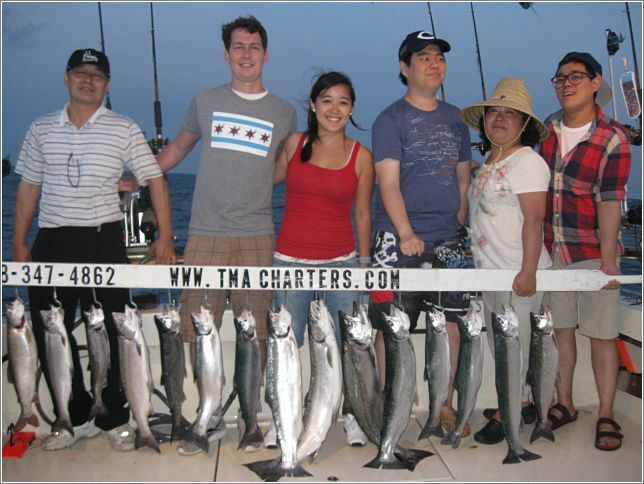 Sport Fishing Identification Waukegan – Illinois Trout Fishing | TMA Charters Inc. 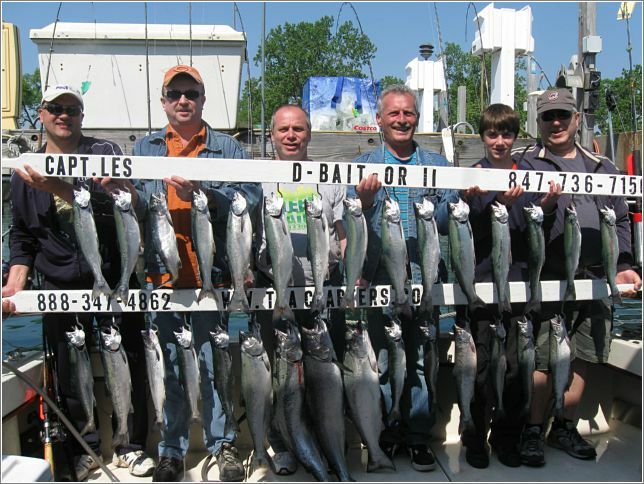 There are several reasons why greater numbers of fish are caught on Lake Michigan during the months of April, May, and June. 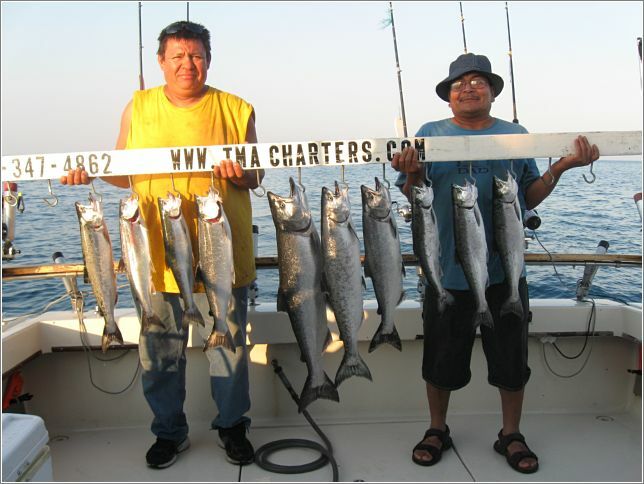 During these months, we can fish closer to the shore, which cuts down on travel time and gives you more chances to catch fish. 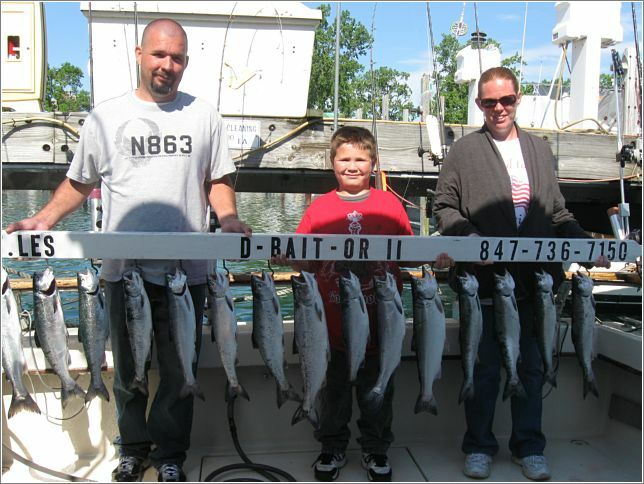 Lake Michigan fishing requires multiple rods in the water since we are targeting fish closer to the surface, as opposed to deeper waters during later months. 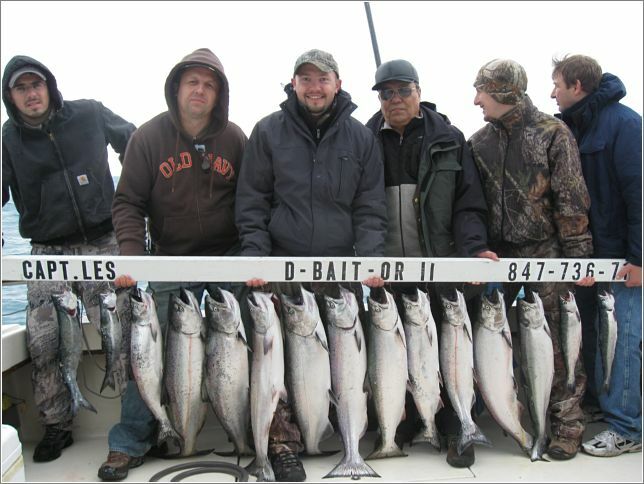 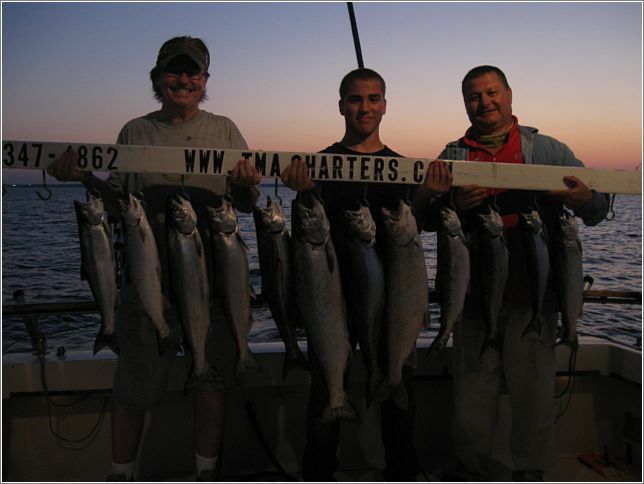 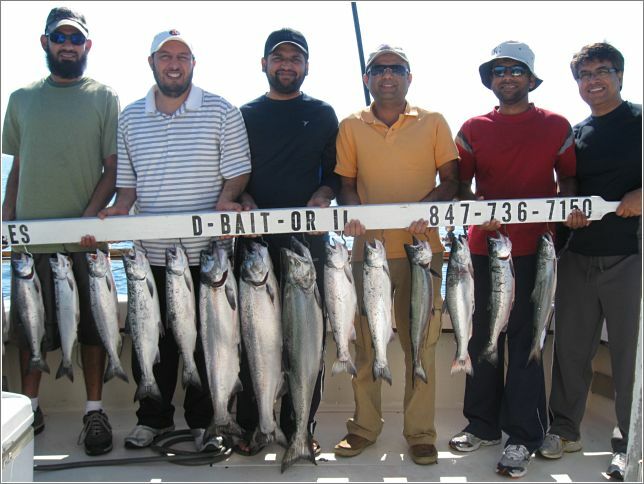 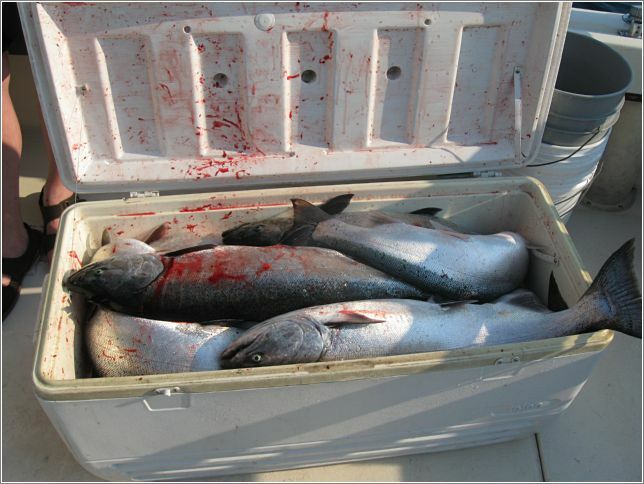 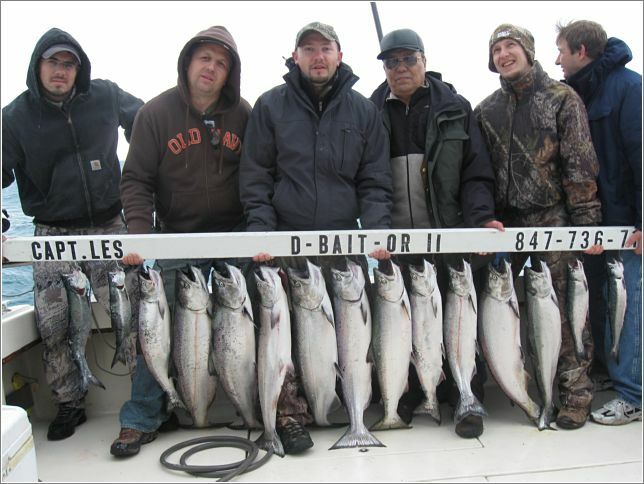 Salmon fishing charters can expect to catch mostly Coho Salmon in these types of conditions. 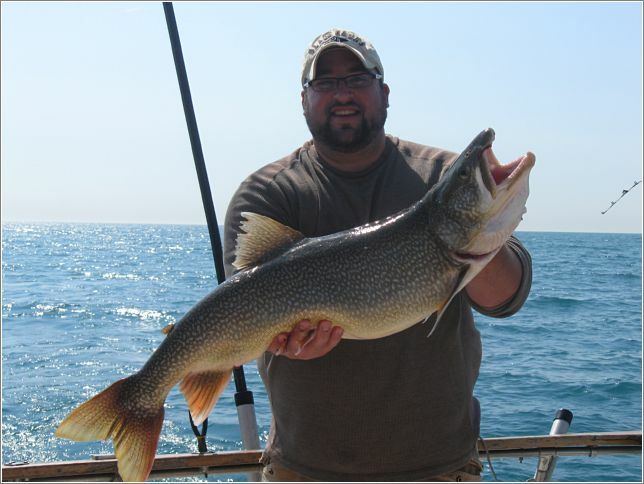 From my standpoint, this is perhaps the best fish for eating that Lake Michigan has to offer. 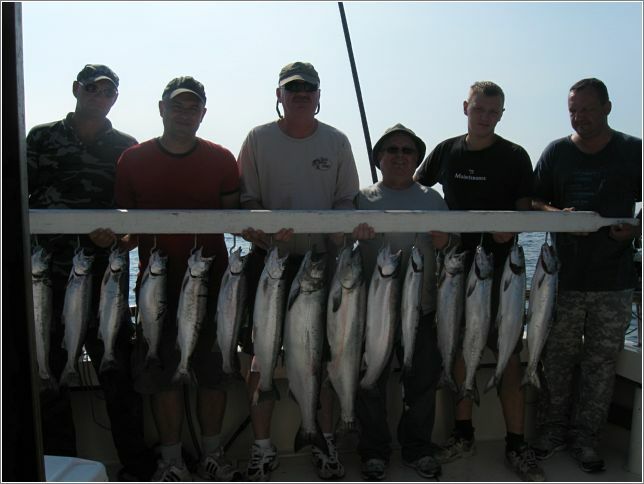 However, King Salmon and Brown or Rainbow Trout fishing are also available. 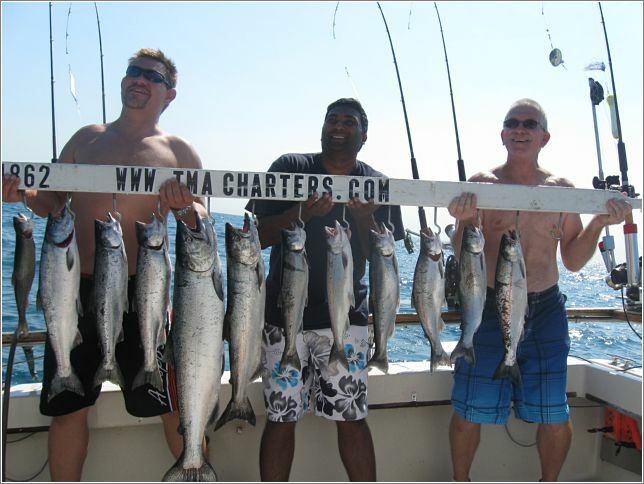 I am happy to recommend what charter fishing trips best matches your goals. 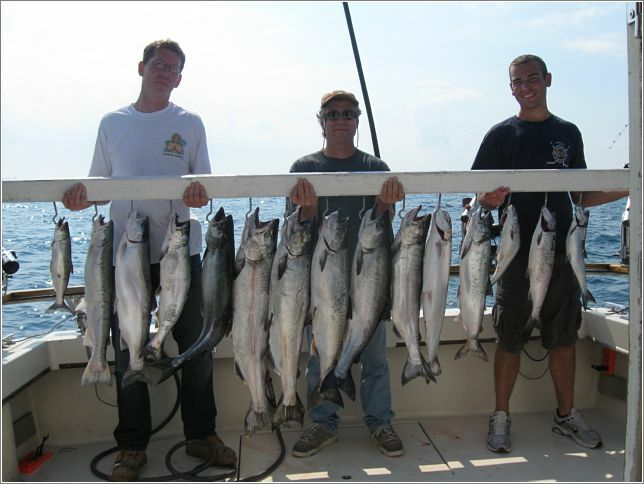 What about after these peak months? 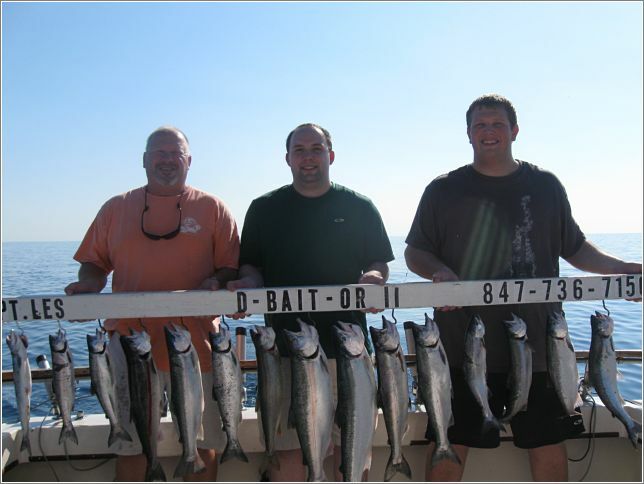 Depending on the conditions, I recommend 6 hour fishing charters after June 1st for the best results. 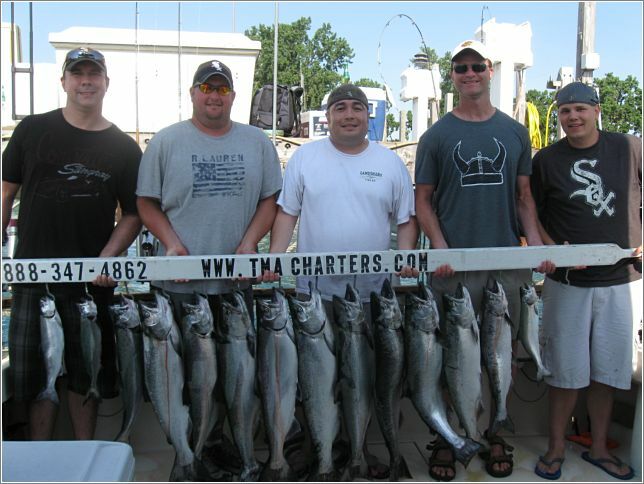 Our Lake Michigan fishing charters have led successful trips in June, July, August and September for over 20 years. 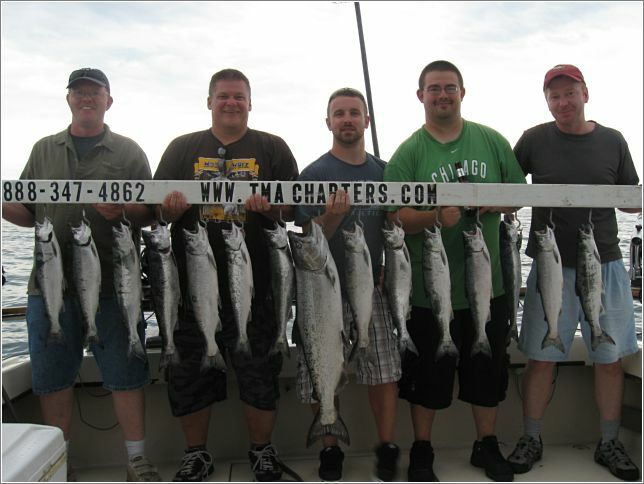 We will take you to where the King Salmon and feisty Steelhead Trout are biting. 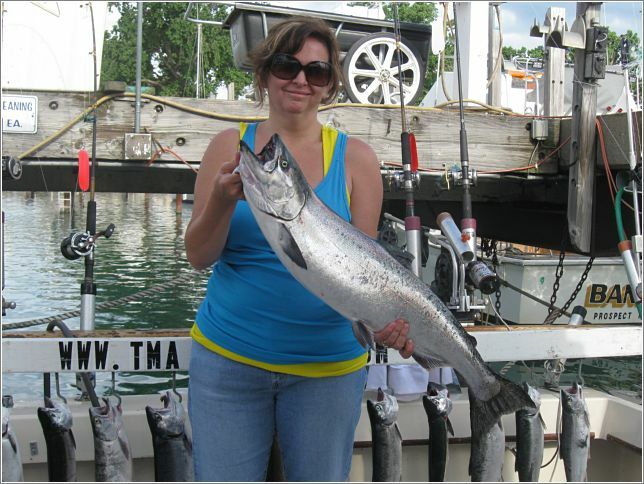 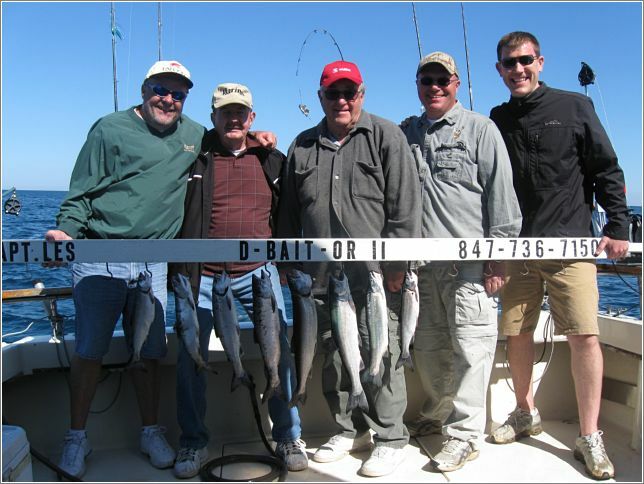 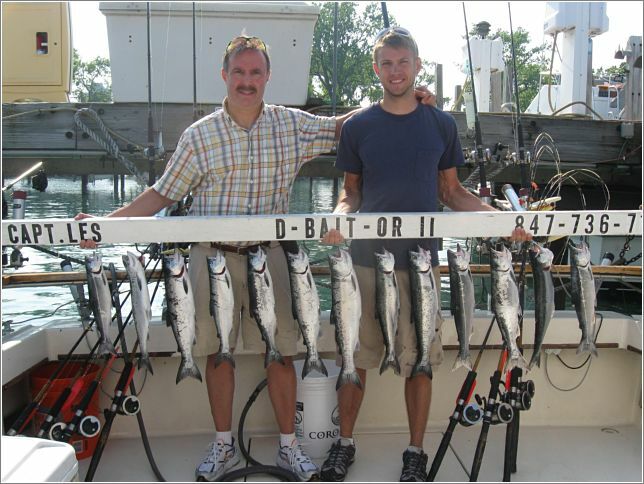 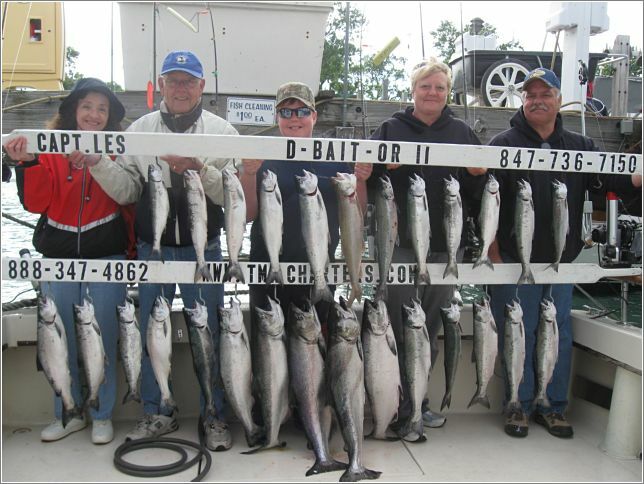 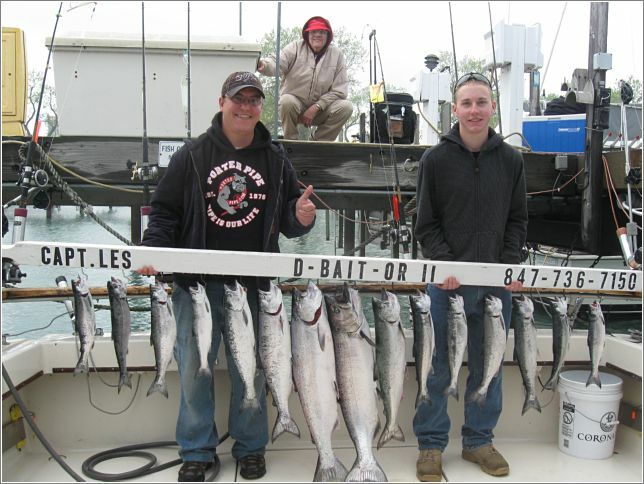 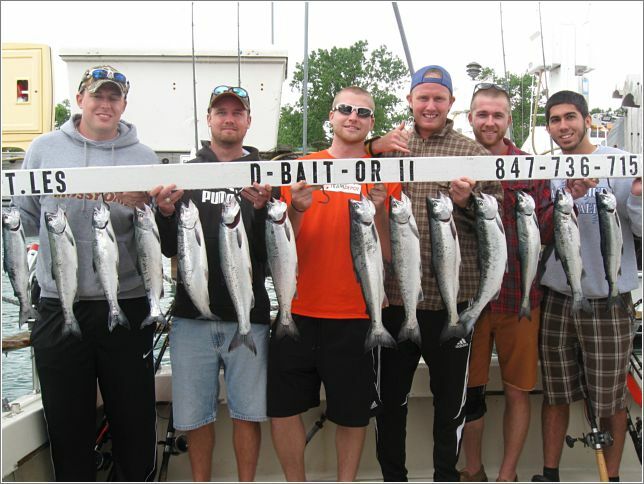 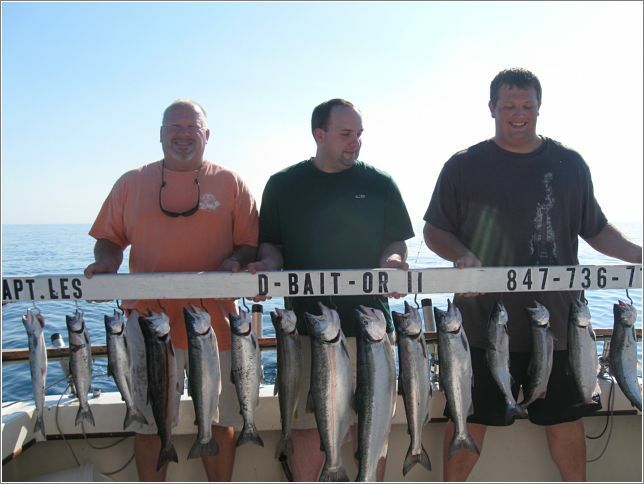 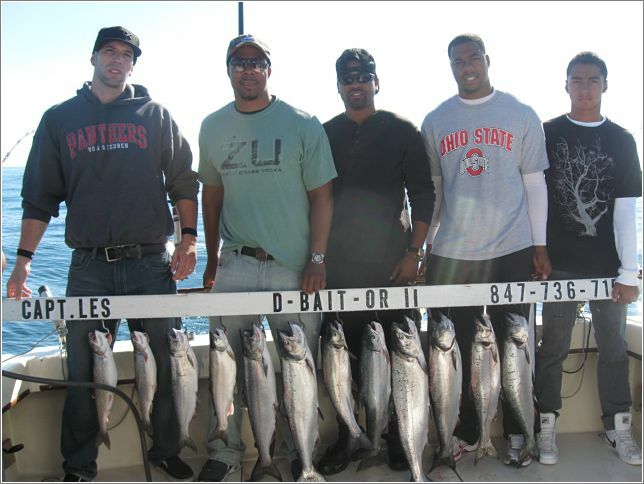 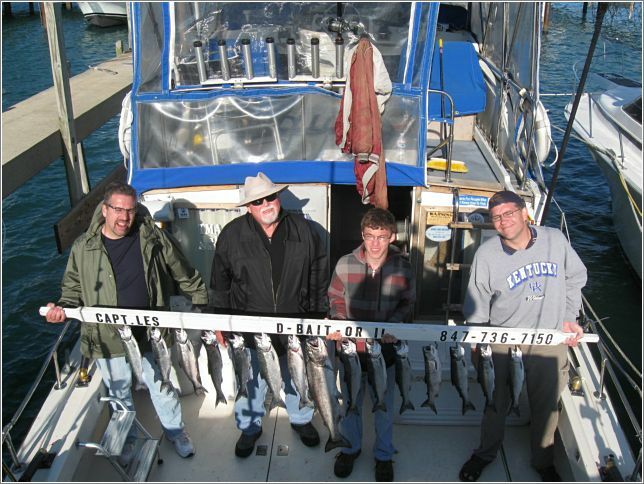 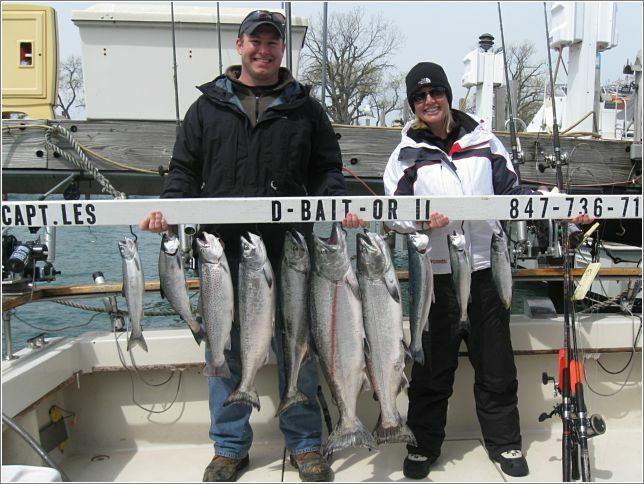 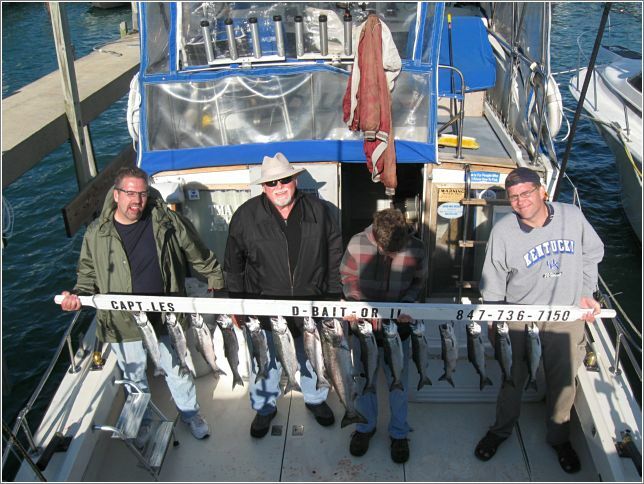 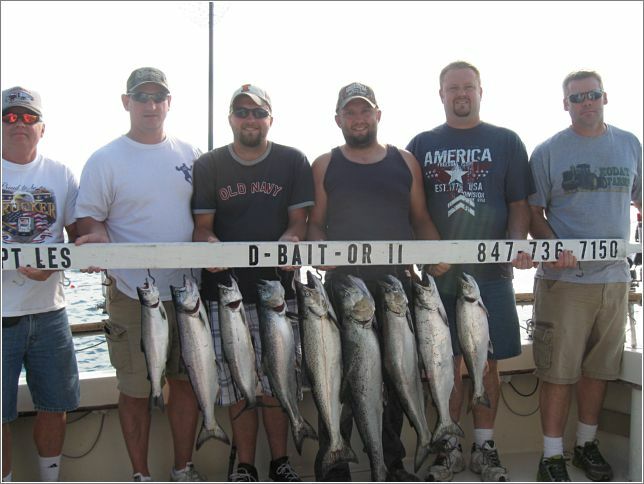 Lake Michigan salmon charters or trout fishing trips cannot simply throw a few bobbers in the water and expect results. 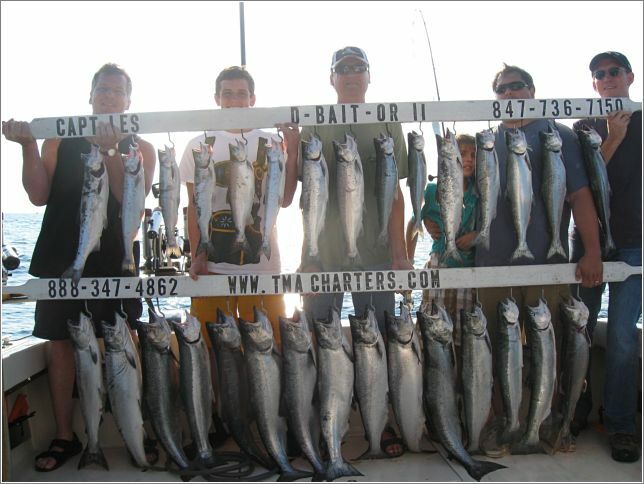 Trolling with multiple lines is often needed and this requires the right boat. 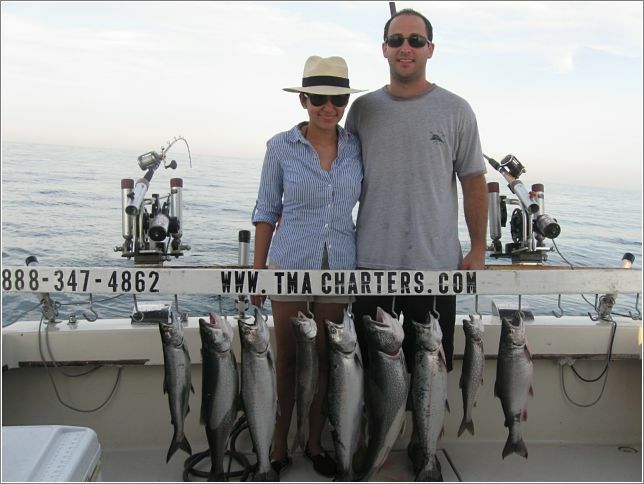 Our charter fishing boat is a 35′ Chris Craft Corinthian Sport Fisher. 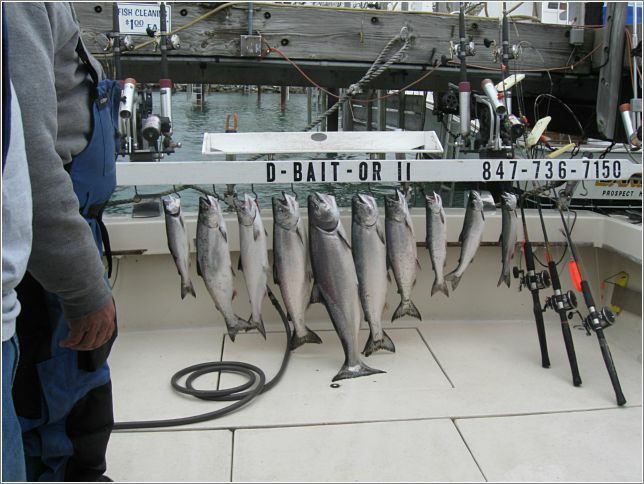 This vessel has the space and technology to reel in these beautiful fish. 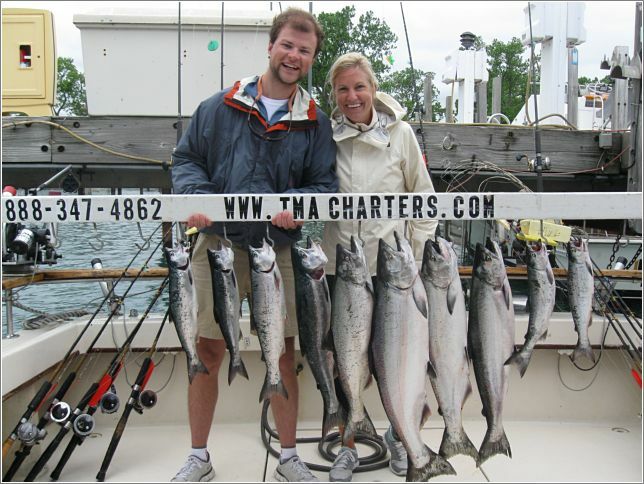 Salmon and trout offer a great challenge to charter fishing boat anglers of all skill levels. 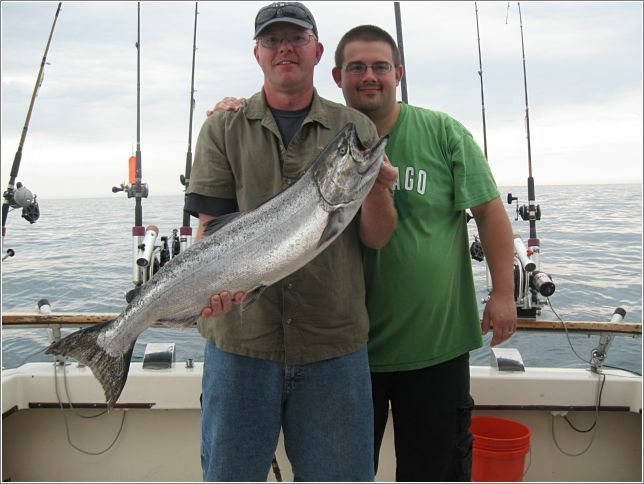 These late summer months allow you to reel in larger sized Brown Trout compared to earlier parts of the year.. 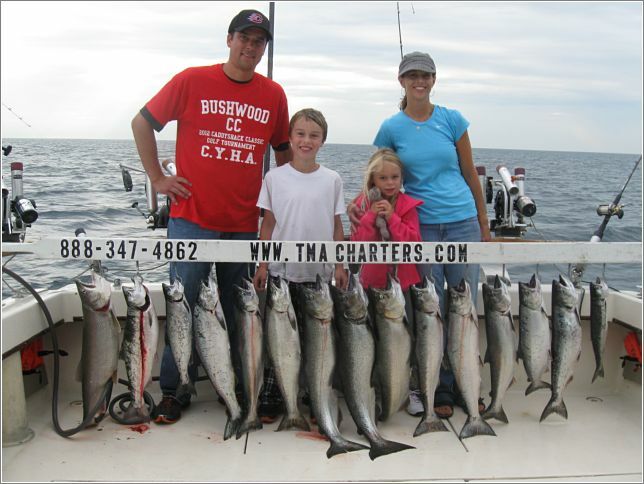 When October arrives; Lake Michigan fishing charters mostly target Lake Trout. 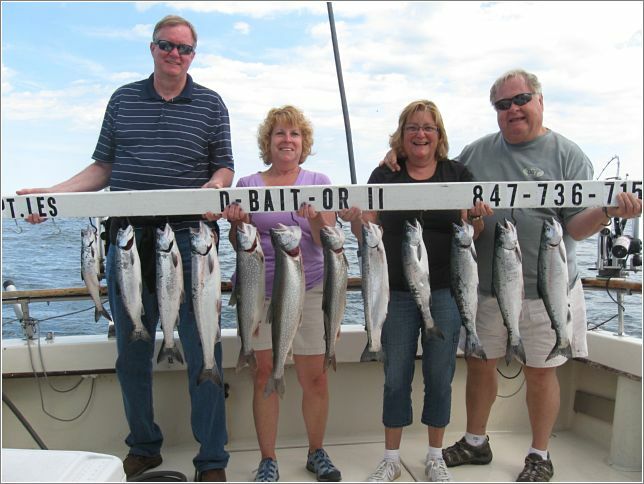 While Lake Michigan is teeming with fish; the Lake Trout is the only native species. 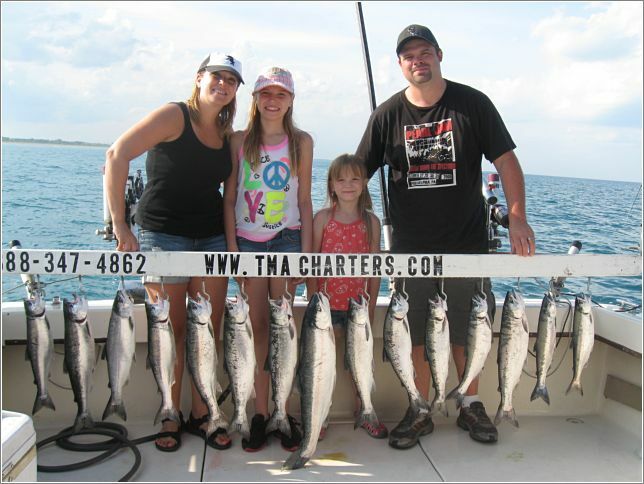 You can find these good sized fish on the reefs or nearby areas. 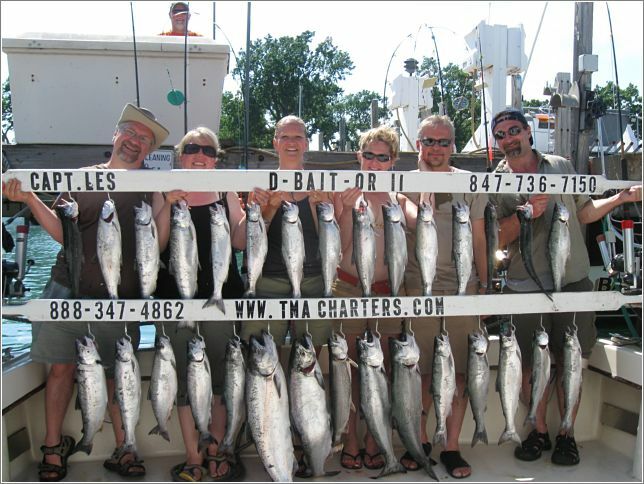 So, come join us for the best Lake Michigan fishing charter in Waukegan. 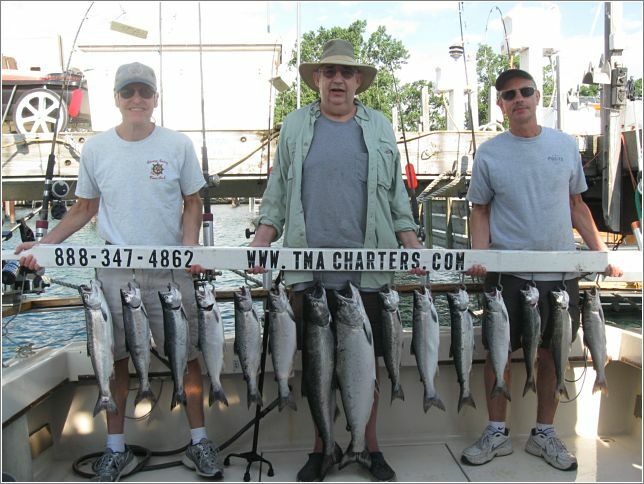 We will pick you up at Waukegan Yacht Club and offer several charter fishing packages. 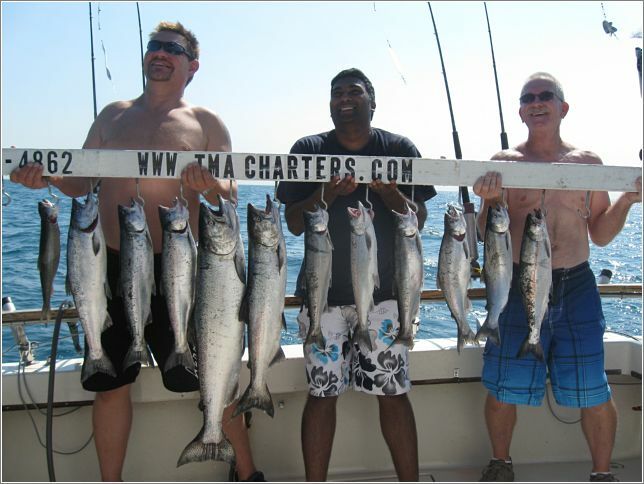 You simply need to bring snacks, beverages and sunscreen. 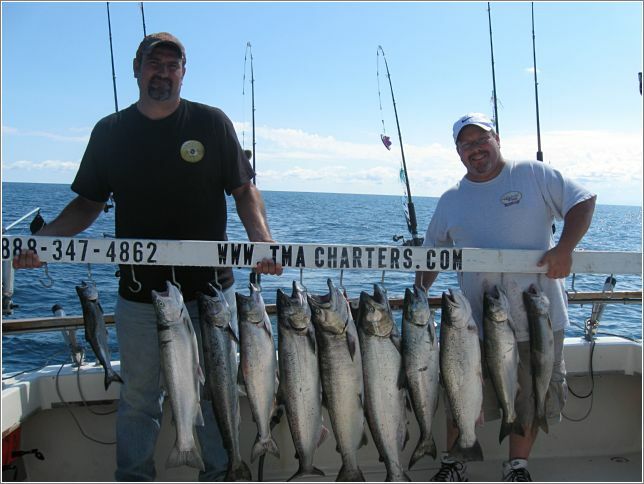 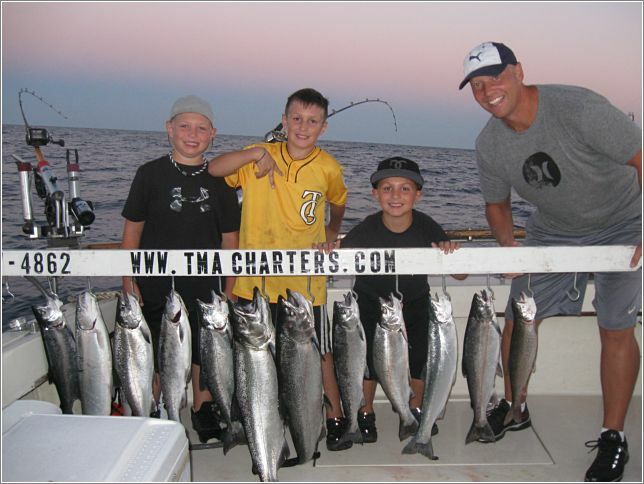 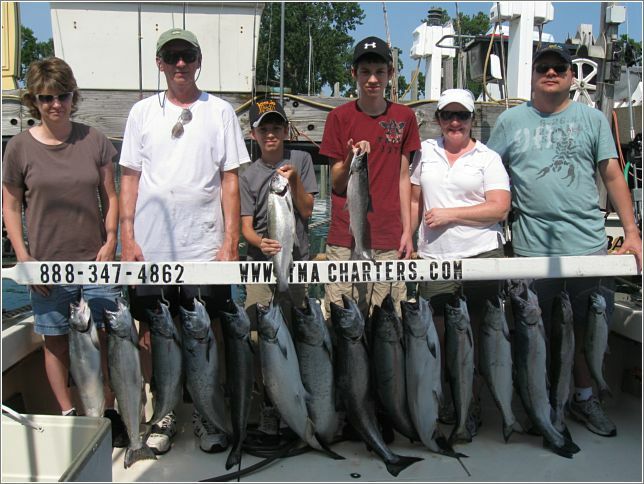 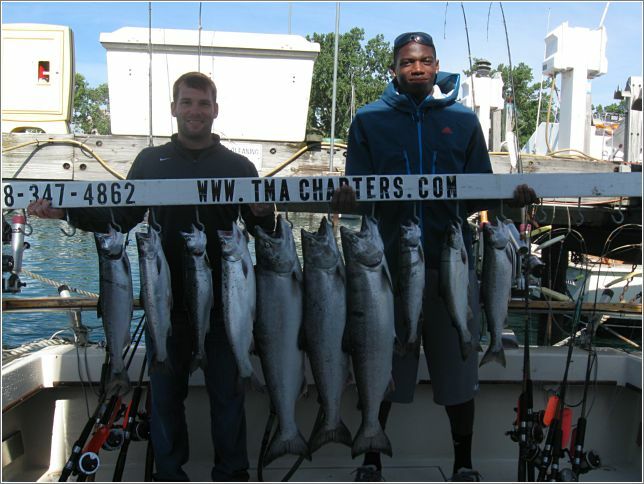 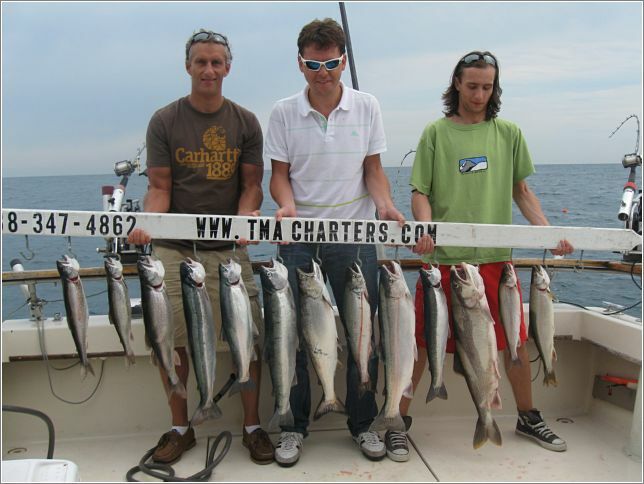 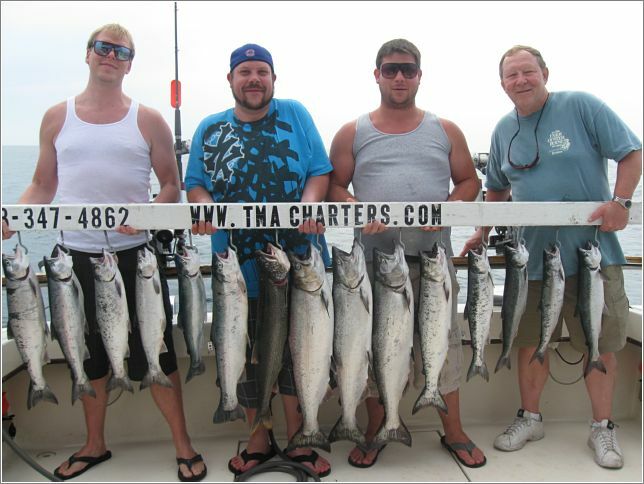 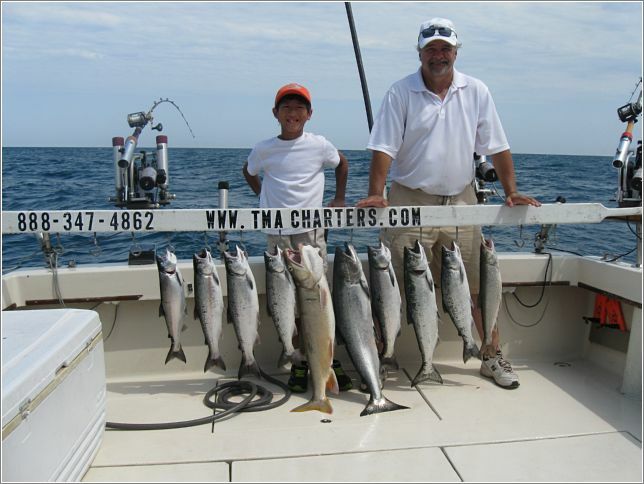 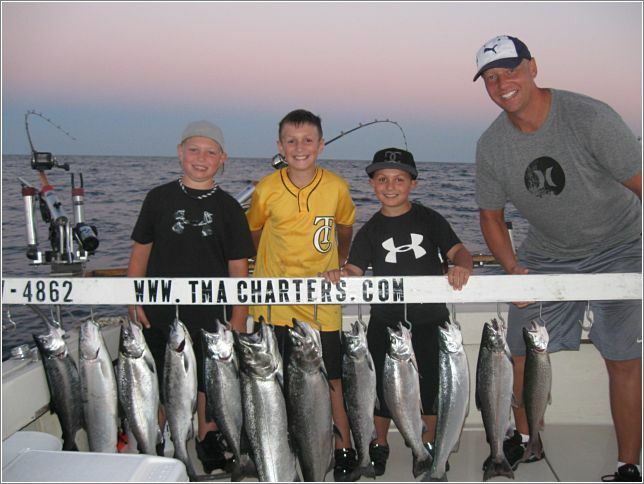 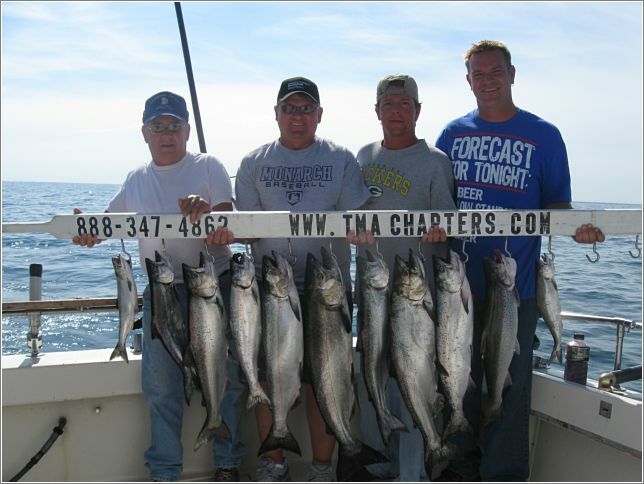 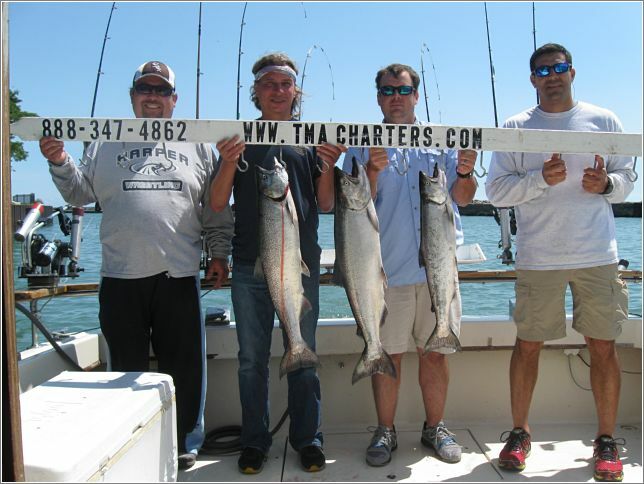 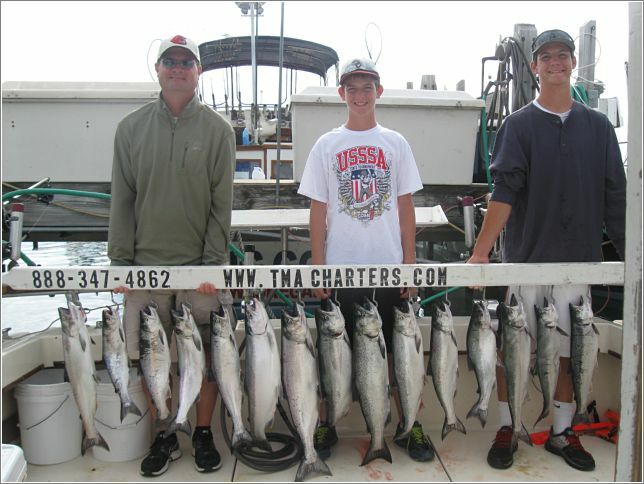 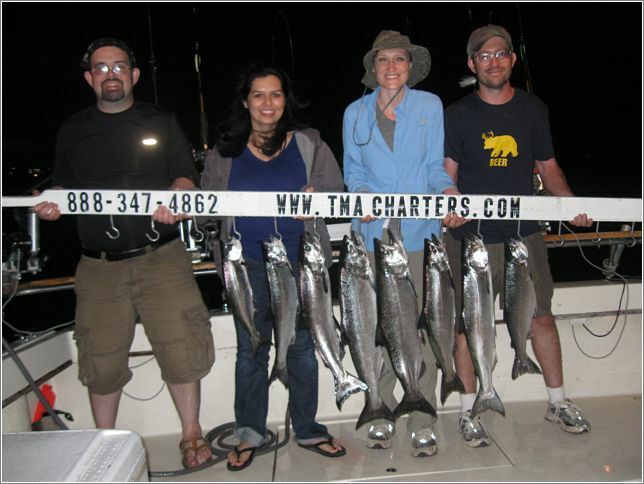 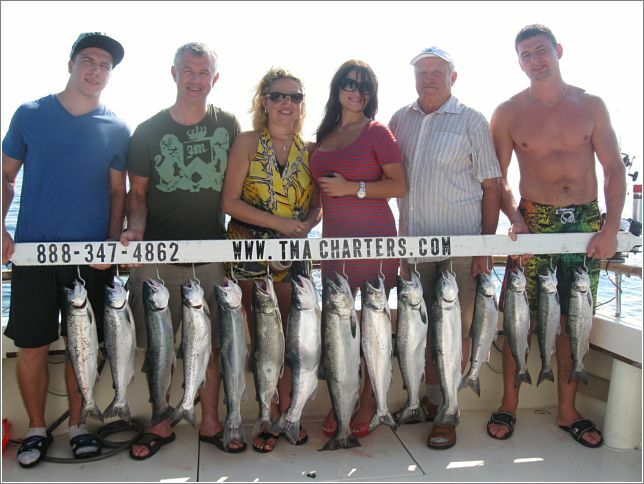 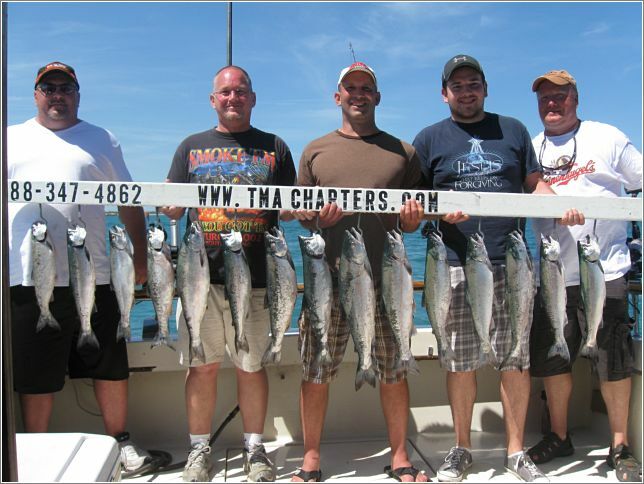 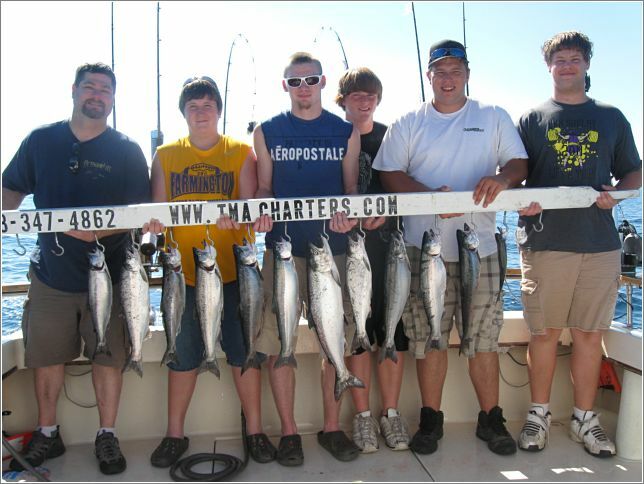 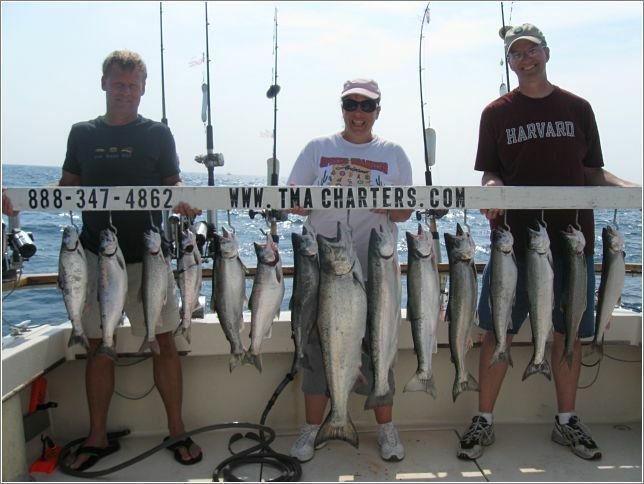 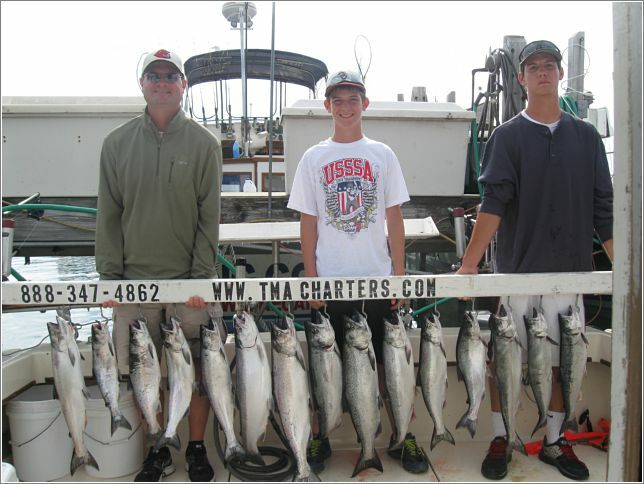 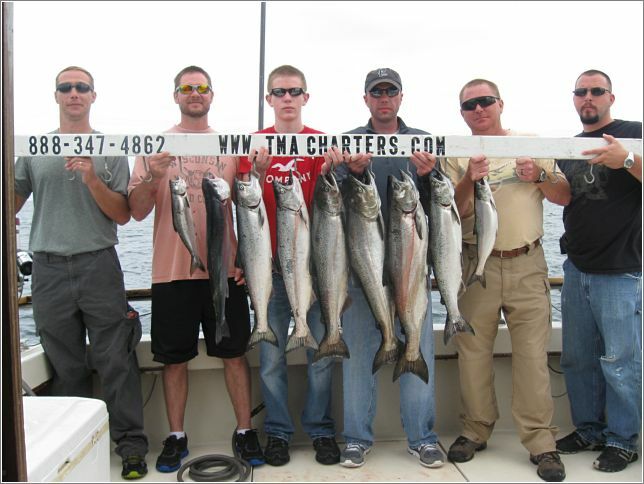 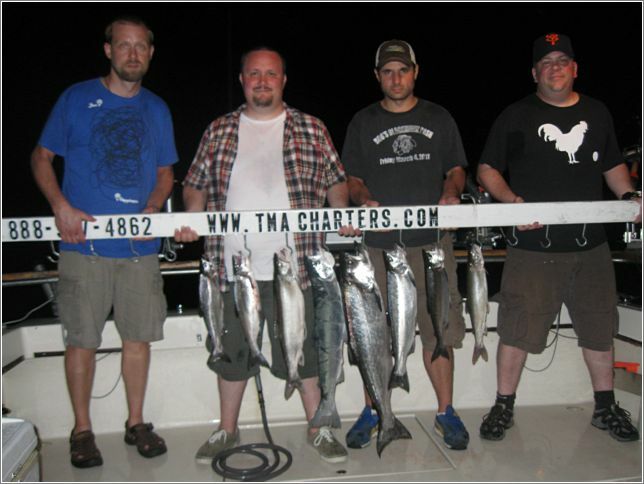 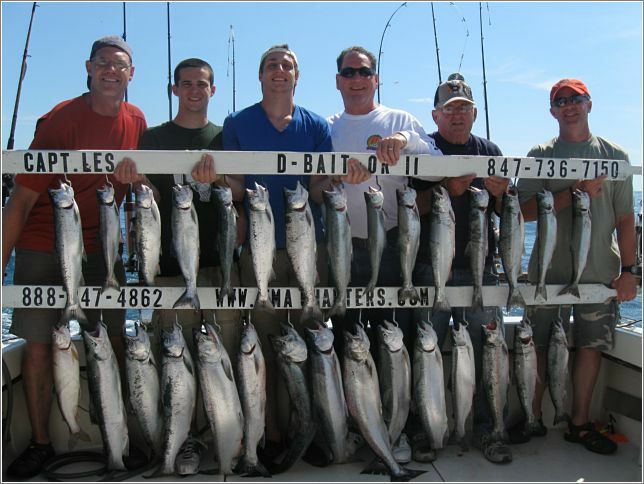 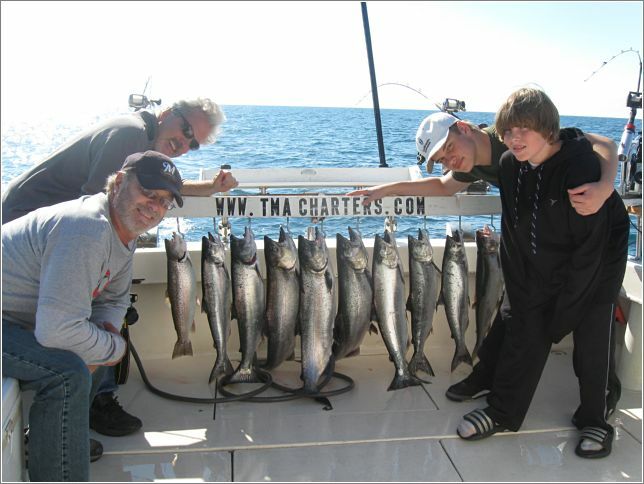 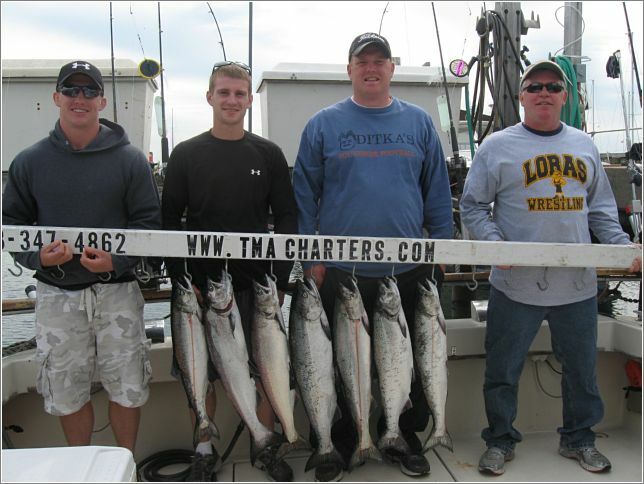 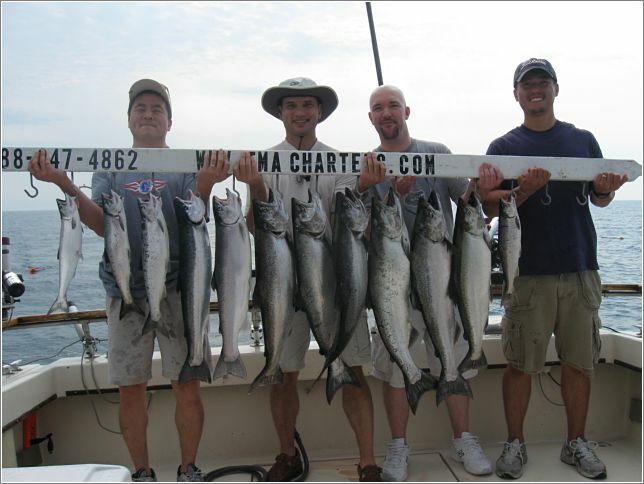 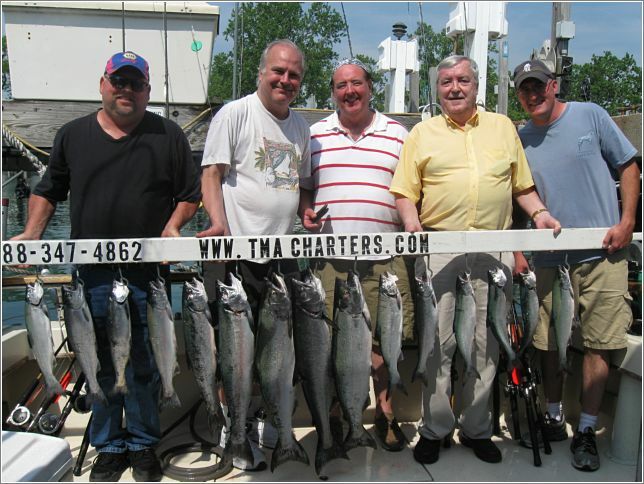 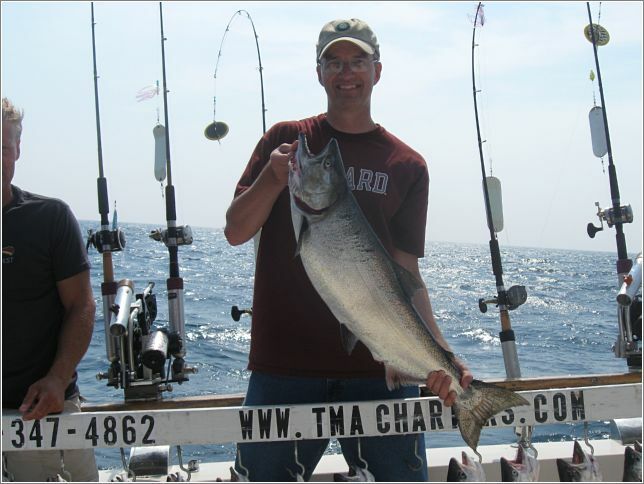 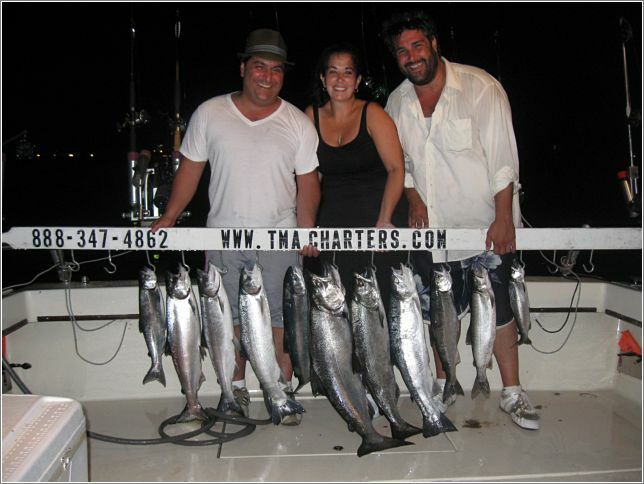 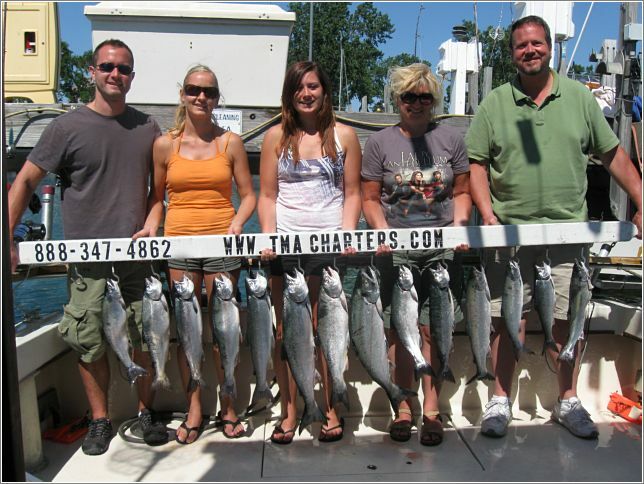 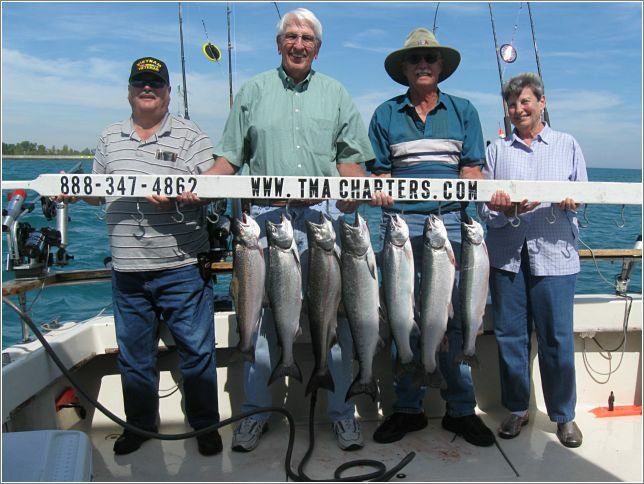 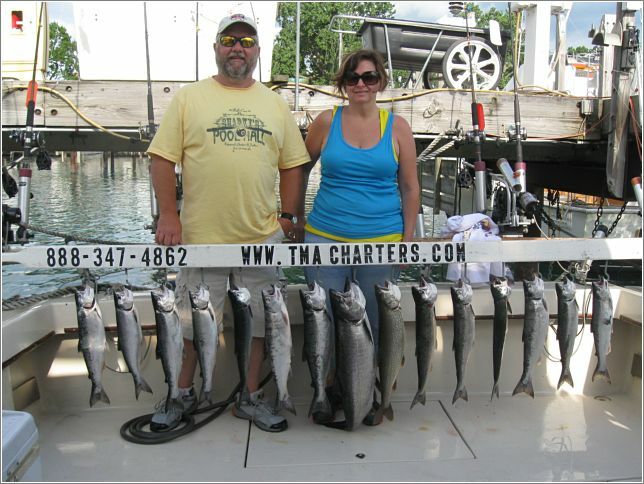 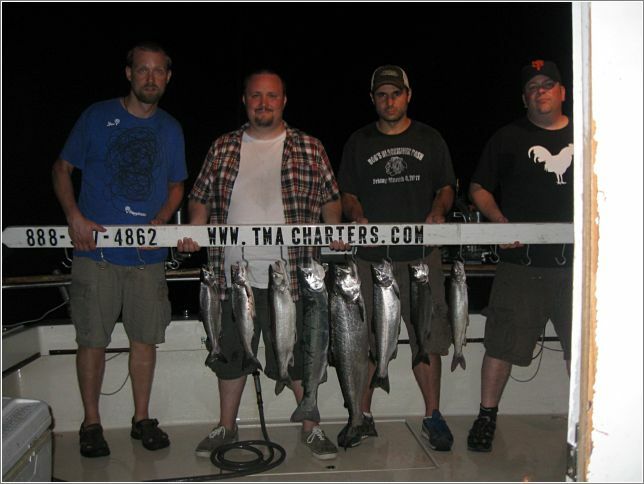 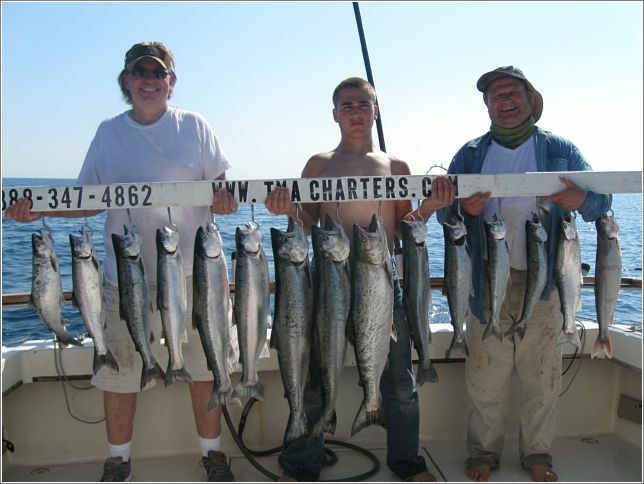 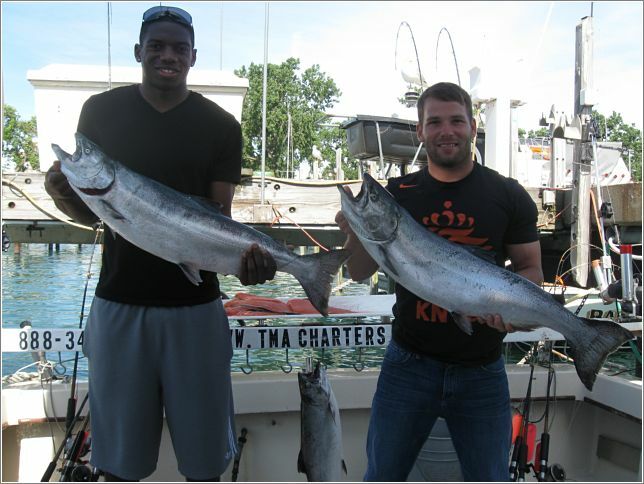 Please call TMA Charters Inc. at (847) 736-7150 to book your Lake Michigan fishing tour.